In 2001, the Congregation started its very own house of formation in Nairobi. Their intention was to offer young English-speaking African brothers the chance to continue their professional training at an academic level as well as the opportunity to live in a community of their own. 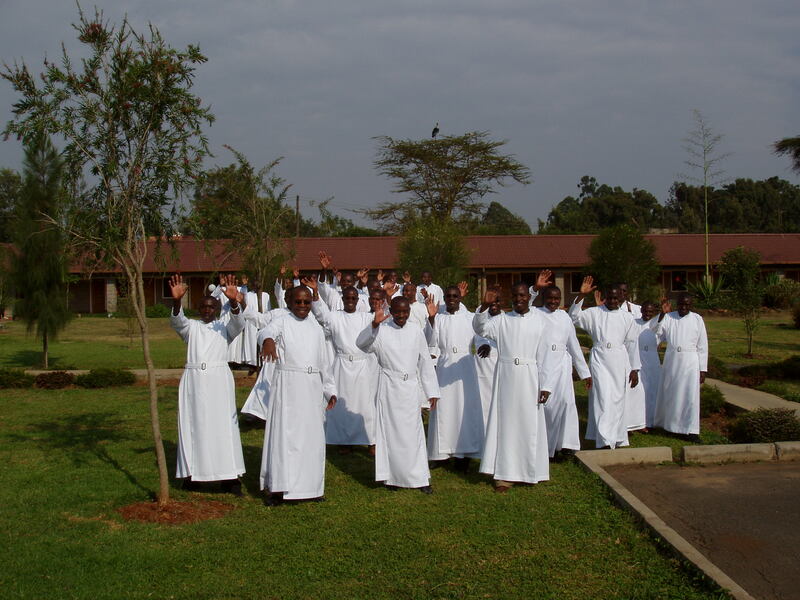 In 2006, this house of formation was further developed into the international novitiate for Africa. On average, about 30 to 40 novices from 10 different African countries stay there for their initial, eighteen-month formation, during which they are initiated into the religious life. After this period, they return to their regions for 6 months. Then, they meet in Ndera, Rwanda for an apostolic formation of 6 months and they prepare for the first profession. After a rather short stay in Loitokitok, where a group of brothers took part in a care project for people with HIV/AIDS, a new community was founded in Kakamega in 2016. The Brothers of Charity took over a clinic which will be further developed as a centre for mental health care. The provincial house of the African province is located in Nairobi.